This 23k mile Carrera is a very unique and special 2010 Carrera 4S. Carrera 4S cars built like this are not offered for sale often. It is finished in Meteor Grey Metallic with luxurious Full Brown Leather. The list of options include 19" Carrera Sport Wheels, Adaptative Sport Seats, PASM Sport Suspension, Sport Exhaust System, PDK Transmission, Self-Dimming Mirrors, Heated Front Seats, Heated Steering Wheel, Rear Window Wiper, Dynamic Cornering lights, Self-Dimming Mirrors, Heated Front Seats, Heated Steering Wheel, Bluetooth Phone Interface, Parking Assist System, Sport Chrono Package Plus, Navigation, Bose High End Sound Package, Universal Audio Interface, Side Skirts Exterior Color, Illuminated Stainless Door Sills and Rear Center Console Painted in Exterior Color. In addition, it has Speed Film on the entire front end. The original MSRP was $123,840. It has a clean CarFax report and has had a full Porsche recommended service performed and new Pirrelli N spec tires installed in our shop. The is nearly flawless and has been thoroughly maintained to perfection. This is an exceptional 911 that is truly hard to find. 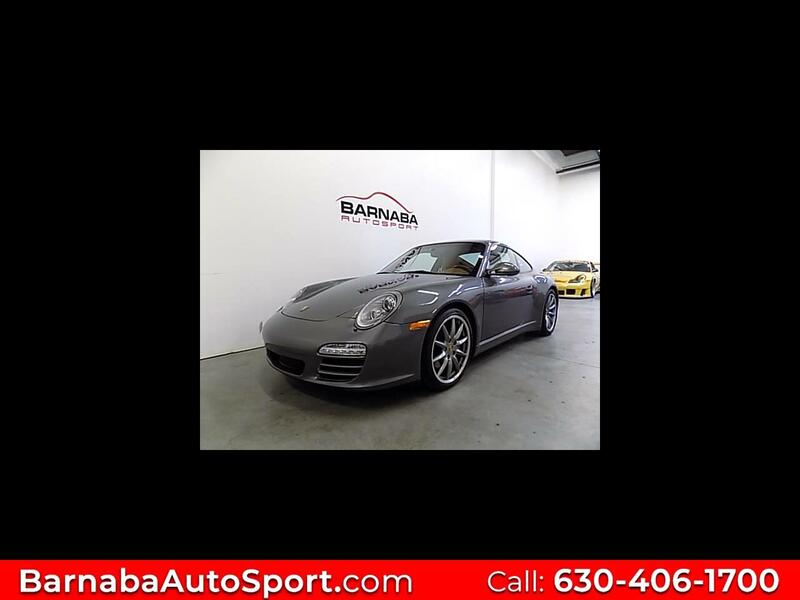 We are a small Porsche specialty dealership that can offer handpicked cars at reasonable pricing. We can also offer financing through Woodside Credit, leasing options and extended service contracts. All vehicles are put through an extensive inspection process to insure everything we have for sale is up to Porsche's strict standards. Experience the highest level of service today in a relaxed, friendly environment. Message: Thought you might be interested in this 2010 Porsche 911.